Wow. These stairs were so old, they were built with square nails. They needed to be removed and hauled away. Just a few hours, and now the stairs are safe and solid. These stairs were rotting. Consider It Done Construction dismantled and hauled away the old steps and decking. Then, we rebuilt the stairs and decking in the same footprint, using treated wood and screw fasteners. We were able to save the customer money by re-using the existing handrails. This is actually the second time Consider It Done Construction built this carport cover. The first cover, and the motor home parked beneath it, were crushed by a falling tree! Fortunately, the supplier had the original materials list from almost 10 years ago. This allowed us to re-create the cover (we actually modified it to make it a little bigger). 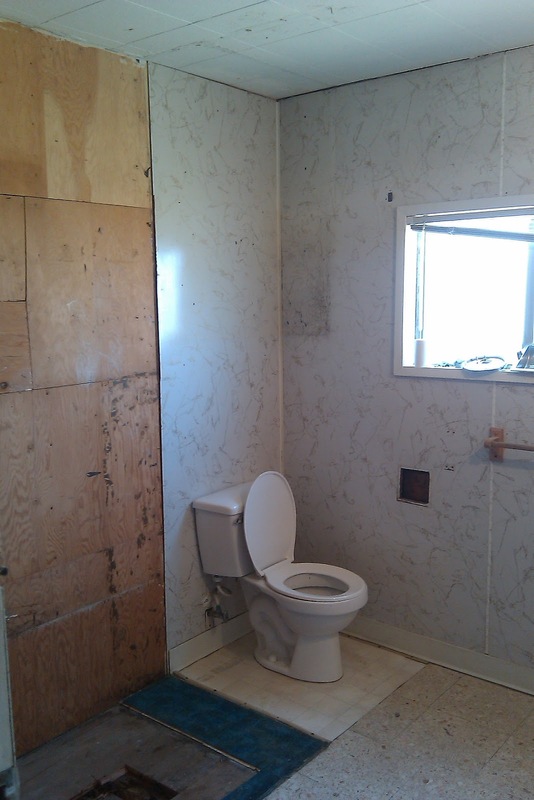 This picture is after the old tub/shower combo was removed. Consider It Done Construction added a small wall between the toilet/new shower, installed the tub and surround, coordinated the work by the plumber, patched the walls as needed, painted the entire bathroom, and replaced the flooring.